Projects – Gagner Restoration, Inc. The Gage County Historical Society asked for our help on this large project. 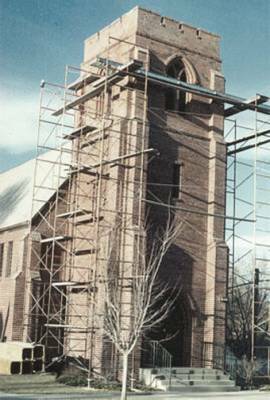 We were glad to help with the restoration of this unique building. 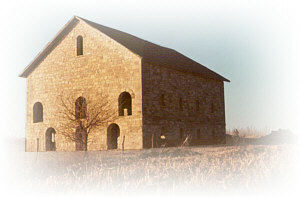 The barn is located 1 1/2 miles south west of Filley, Nebraska and is listed in the National Register of Historic Places. 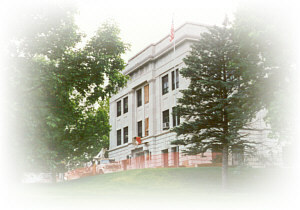 This courthouse was beginning to show its years after nearly 70 Nebraska winters. The front of a two-ton, 3 by 2 by 2-foot cornice stone had cracked off and fallen to the ground. We refaced the cracked cornice stones on the building with cast replica stone fronts restoring the appearance and safety of the structure.